Reassurance shield after the 9A/100 junction. 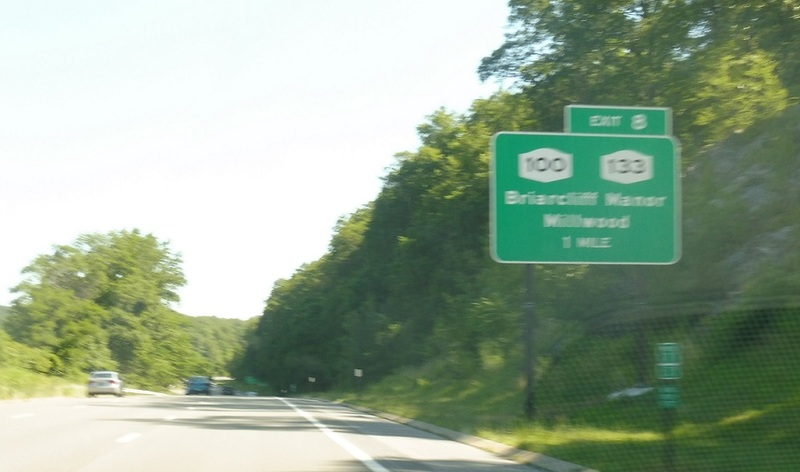 A couple miles later, we’ll approach Routes 133 and 100 (again). 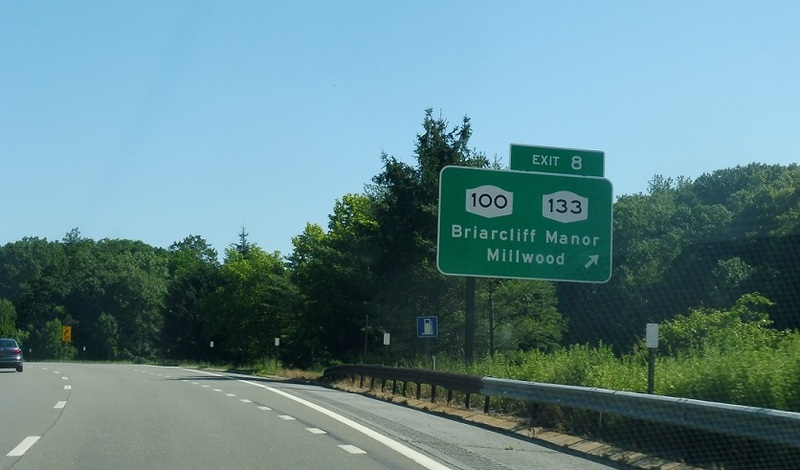 Exit in one mile to connect to Routes 100 and 133. 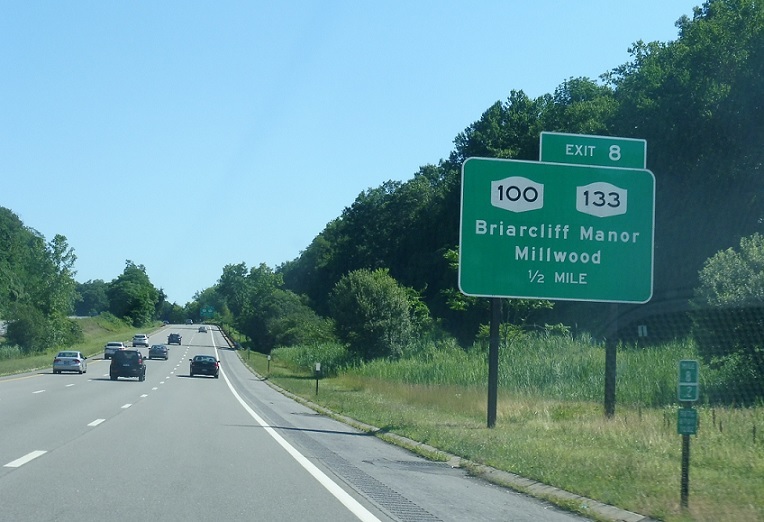 Exit to connect to 100 and 133. 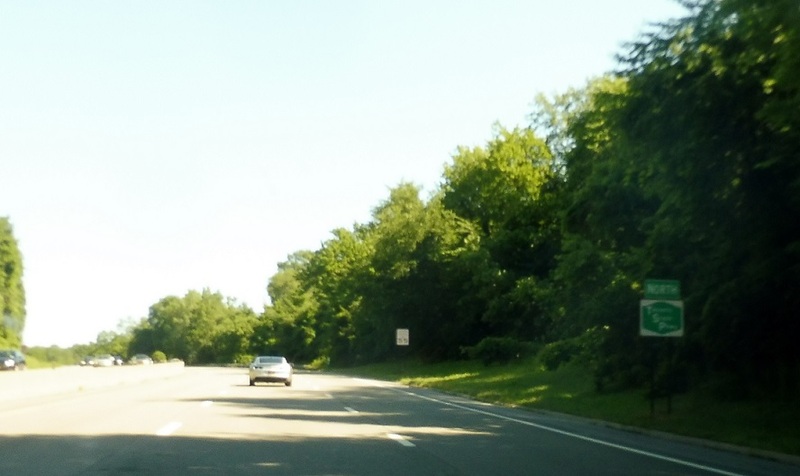 The ramp from 100/133 to the northbound Taconic connects directly.